Should top (or has topped?) and begin down for next 8-9 TDs (trading days). After that maybe one more high. 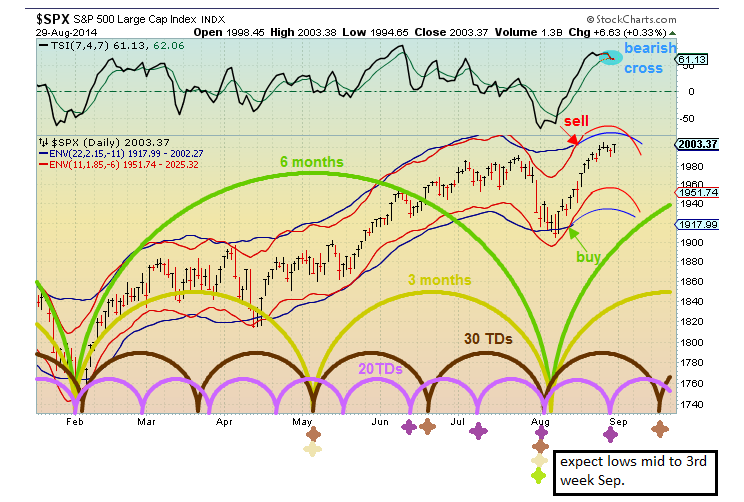 Taking more time than expected to top and give us a respectable pullback. Picked up small amount of RWM (R2k Inverse) - 200 shares - last week. Will add if expected pullback starts. Currently around break even.